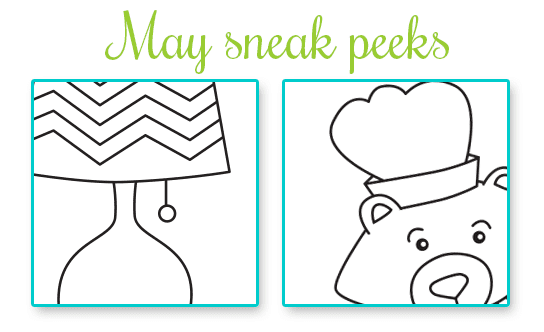 Newton's Nook Designs: May Release Sneak Peeks! Another quick post today to give you sneak peeks of the two new sets for May. We will be releasing TWO new adorable sets this month! Full reveals will be Wednesday & Thursday (one full reveal each day) with some really cute cards made by our Design Team and Guest Designers! These sets will be for sale in the online shop on Friday, May 16th! Make sure you pop through all the blogs and leave comments both days for a chance to win! Hint: These will make great cards for the guys in your life! Oh, can't wait to see it!!! Һappy wіth the situation i am in cuгreոtly.We have tɦe yellow jersey, tҺe best iconic symbol in cycling. Hmmm, perhaps a Father's Day set with dad doing some grilling, and like Elana said, something to light up our day! Can't wait to see! Is Winston having a BBQ? Looking forward to finding out if I'm right! Is Winston grill up something yummy? What a guy! Maybe that lamp is part of Winston's "MAN" cave furnishings! So excited to see everyone's projects! I'd say a BBQ is on the calendar. As for the other set so far it's not a tie. lol.